In 2006 the Charity Commission approved the revival of the Trust previously known as the George Borrow Museum. The latter had in fact ceased to function some 70 years ago. 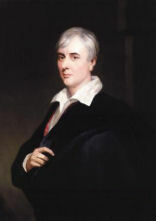 "to advance the education of the public in the life and works of George Borrow in particular, by means which preserve, exhibit and study his writings and works and other material objects connected with or tending to perpetuate his memory or to throw light on his life and work." There is a Board of Trustees approved by the Charity Commission, under the chairmanship of Dr Clive Wilkins-Jones, which welcomes applications for grants. The funds available to the Trust derive from the sale of Borrow House, Norwich (which originally housed the George Borrow Museum) in 1994. The capital is to remain untouched, the funds available for grants deriving from future annual interest and from that accrued since 1994. The Trustees at their first meeting decided to give priority to the restoration of Borrow’s grave in Brompton Cemetery. The concept of public benefit is of particular importance to the Charity Commission, and the Trustees will welcome both specific applications from individuals, and general proposals, e.g. the mounting of an exhibition with reference to Borrow, for the type of activity we might support. Priority will be given to applications relating specifically to George Borrow, with the aim of bringing him to the notice of a wider public and helping to regain for him his rightful status as a notable nineteenth-century author.